"Teamwork divides the tasks and multiplies the success." Jeremy Goodreau became ACLC's Lead Facilitator in July of 2017. He is incredibly excited to be working with such motivated and talented people at ACLC! Jeremy graduated from Rice University with a B.A. in Kinesiology and History, and earned his M.Ed. in Administration and Supervision from the University of Houston. He met his wife in college, and recently moved to the area with their two dogs. They are incredibly happy to be here with such wonderful weather and people! For the past six years, Jeremy worked at a private boarding school for low-income students near Houston. While there he served in many roles, most recently as the Head of Upper School, a role in which he worked to build a strong community that learns together. Prior to that, he worked in program support for a charter school in Houston, as a medical research tech, and as an athletic trainer. David Hoopes joined the ACLC team in 2012 and became Curriculum and Instruction Lead in 2017. 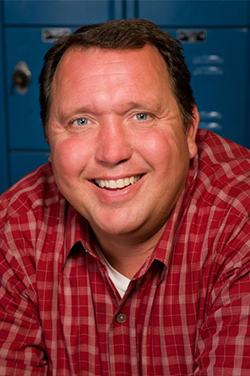 David is a long-term advocate of project-based learning and creating a robust and engaging school culture. He is passionate about "educating students so they can excel and contribute in a rapidly-changing world and global economy. 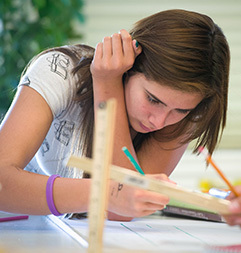 Kids gain deeper understanding when they engage in project-based learning because it challenges them take initiative and think outside the box. Our approach develops learners' skills in critical thinking and problem-solving, and helps them synthesize complex concepts." David came to ACLC from Envision Schools: Impact Academy of Arts and Technology in Hayward, CA, where he served as Principal. Under his guidance, this fledgling charter increased API scores by 75 points and secured WASC accreditation and a 5-year charter renewal. Previously, as Academic Dean at Leadership Public Schools (Hayward), he implemented innovative instructional strategies and increased API scores by 89 points in two years. Earlier, David was an Instructional Coach for various Leadership Public Schools in the Bay Area; and prior to that, a curriculum coach, department chair and social sciences teacher in Richmond and Fremont, CA, as well as in international schools in Italy and Brazil. 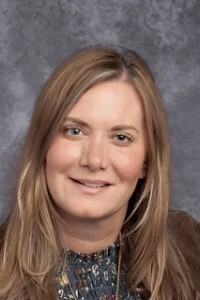 Monique Arbuckle became the Director of Special Education for CLC Schools in January 2019. She brings over 23 years of experience in the field of education and demonstrates a passion for working with children and families. Monique is a school psychologist by trade, and was previously a Director of Special Education for the Los Angeles Unified School District (LAUSD). Monique was born and raised in Bakersfield, CA and comes from a family of educators. She completed her undergraduate and graduate studies at San Diego State University, and is currently pursuing a PhD in Organizational Leadership. During her 18 years at LAUSD, she worked closely with parents, learners, and school teams to ensure academic and behavioral success for all. Monique was attracted to CLCS for its small community and learner-focused mindset. Amanda joined ACLC as School Counselor in 2018. She holds a B.S. in Industrial and Organizational Psychology, and received a dual Master's degree in School Counseling and Marriage and Family Therapy from Saint Mary's College. She finds the role of School Counselor very rewarding and is excited to be working with learners, parents, facilitators and administrators in a school community that is committed to educational success. Before coming to ACLC, Amanda spent two years as an Associate Marriage and Family Therapist in the San Ramon Unified School District. 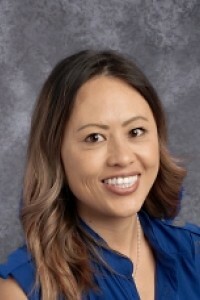 Before that, she spent one year as a School Counseling intern at a high school in the San Ramon Unified School District. Amanda grew up in Overland Park, Kansas and now lives in San Ramon with her husband and son. Lai has bachelor's degree in Journalism from SFSU and spent a year as a journalist until kismet brought her back to her true passion, working with youth in education. She has over 10 years of experience in education, both inside and outside the classroom and in both private and public schools. She is honored to be a part of the ACLC team and is committed to supporting students and families in their academic pursuits and journey. Lai was born and raised in Oakland, CA and now resides in Hayward, CA with her son and husband. She loves family time and grew up with six siblings and has 19 nieces and nephews! When she finds free time, she likes to enjoy the outdoors, cook for her family, try out new restaurants, blog, and maintain her Yelp "Elite" status.